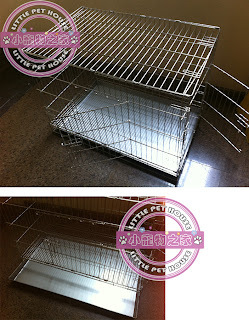 Note: Pic shows the design of cage, material of cage will be stainless steel. Usually comes with two doors, either (Front with Side) or (Front with Top). Depend on stock availability, door combi is not a choice.